John White, 56, of Ecru, MS is charged with Negligent Homicide and 18 counts of Negligent Injuring. ASCENSION PARISH, LA (WAFB) - Louisiana State Police has arrested a man in connection with a fatal 11 vehicle crash on I-10 near Gonzales Wednesday night. Investigators are still clearing the debris from the shoulder of the road. Sgt. Bryan Lee says John White, 56, of Ecru, Mississippi, was booked into the Ascension Parish Detention Center on one count of negligent homicide and 18 counts of negligent injuring. Additional charges are pending against White as the crash remains under investigation. Lee says Julie Holmes, 46, of Gonzales, died at the scene as a result of injures suffered in the crash. Investigators say the crash happened around 9 p.m. on November 7 while traffic was stopped on I-10 E, east of LA 73 in Ascension Parish due to a previous a crash. White failed to stop his 18-wheeler and caused a chain reaction crash with 11 vehicles, according to Lee. Police say they do not believe White was drunk or high. All lanes are now open on I-10 East at LA 73 (Prairieville). Traffic congestion is minimal. 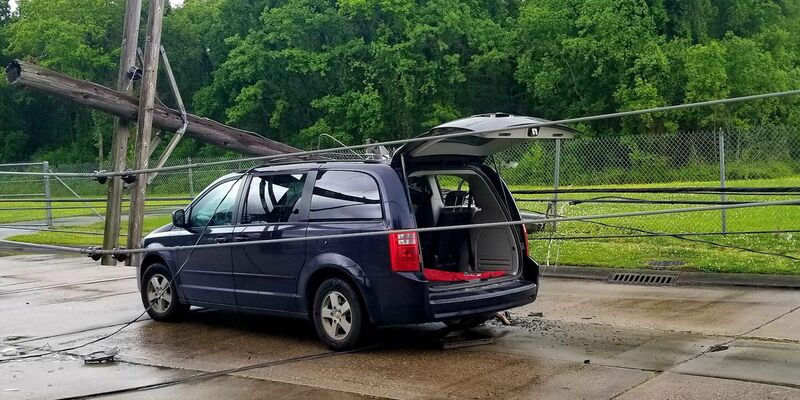 A powerline fell onto a vehicle onto a vehicle in Harvey, causing two minor injuries and leaving more than 1,500 Entergy customers without power.